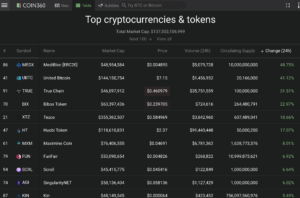 Bitcoin (BTC) is still trading slightly above the 4000USD psychological resistance level. 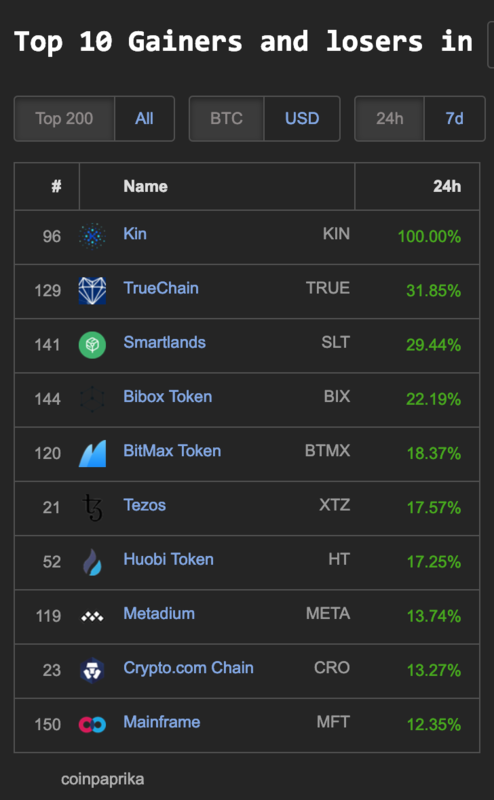 MeiBloc (MEDX) 48%, United Bitcoin (UBTC) 41%, True Chain (TRUE) 31%, Bibox Token (BIX) 22%, Tezos (XTZ) 18% and Huobi Token (HT) 17%. 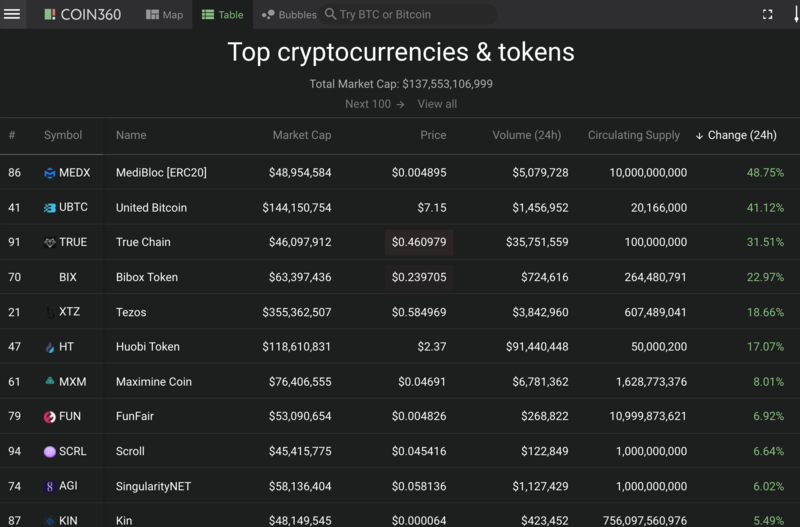 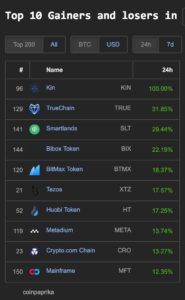 TrueChain (TRUE) 31%, Smarlands (SLT) 29%, Bibox Token (BIX) 22%, BitMax Token (BTMX) 18%, Tezos (XTZ) 17%, Huobi Token 17%, Metadium (META) 13%, Crypto.com Chain (CRO) 13%, and Mainframe (MFT). 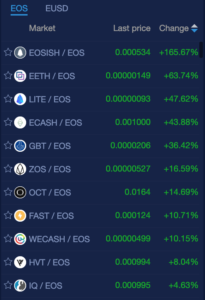 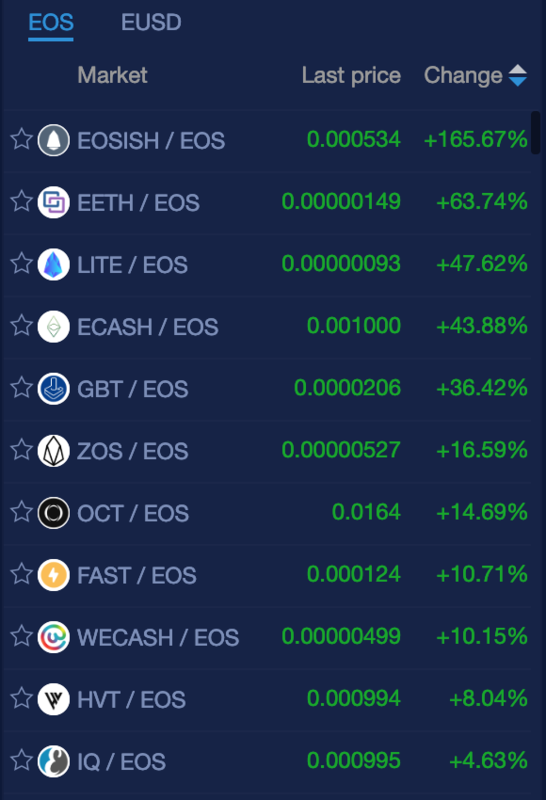 Congratulations to all those holding these coins and tokens!